Join us for a fun evening . . .
Support us by becoming a member! Join us for workshops, meetings, and tours. 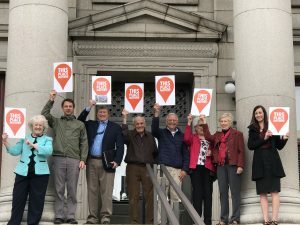 Welcome to the Historic Preservation Alliance of Colorado Springs – celebrating our 20th anniversary! Join us! Become engaged. Learn how together we can protect and preserve the best of the past for the future. We are a city of Olympian-size ideals, deserving of balanced beauty – both natural and throughout our built environment – and respect for our unique heritage. an organization for everyone who loves this place. We are currently working on several projects in our community. 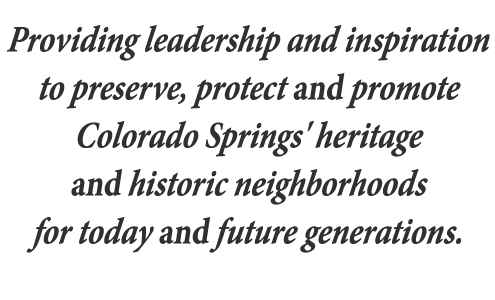 We believe it is important to preserve the valuable past in the Pikes Peak area. Click here to find out current events, upcoming activities, special and on-going projects. Support HPA by becoming a member. We have a membership category to fit every person with benefits to match each category. Most tours are free to members. We advocate to preserve and protect the historic places that matter in our community! Your participation helps strengthen our voice on behalf of our history and unique character.